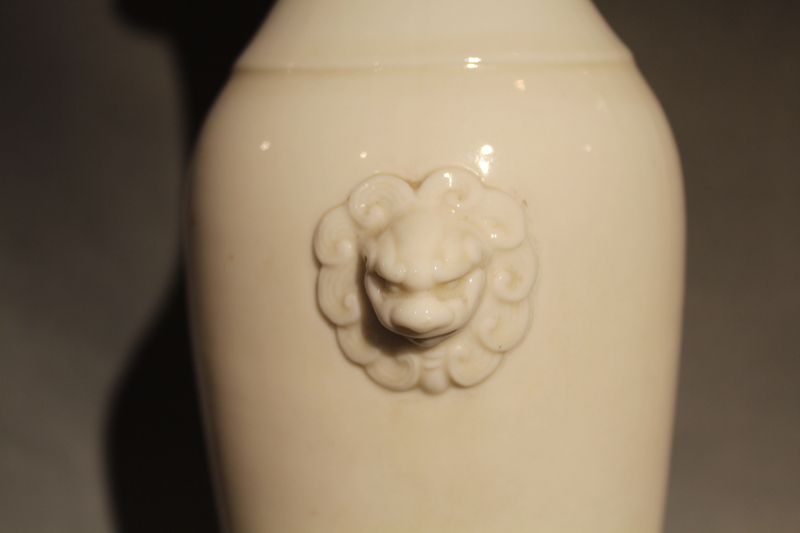 An Elegant Blanc de Chine Dehua vase, everted rim, long neck, with moulded lion-mask handles. 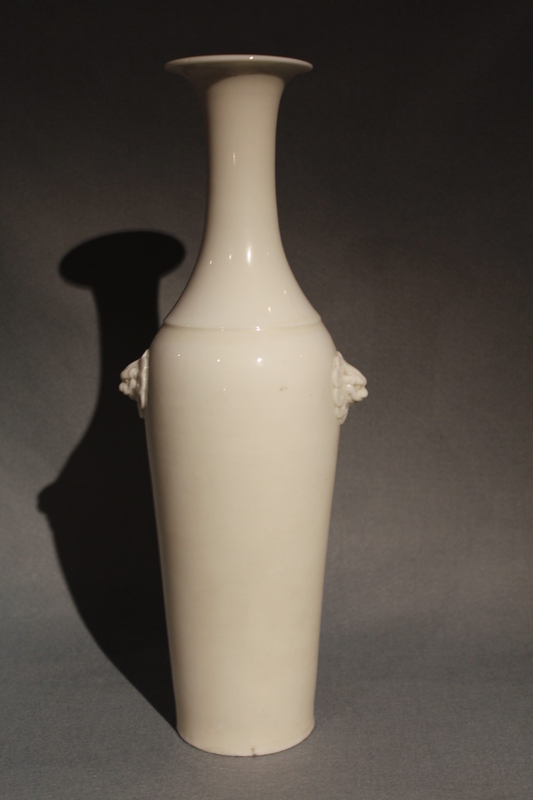 The glaze is of an even, ivory tone. 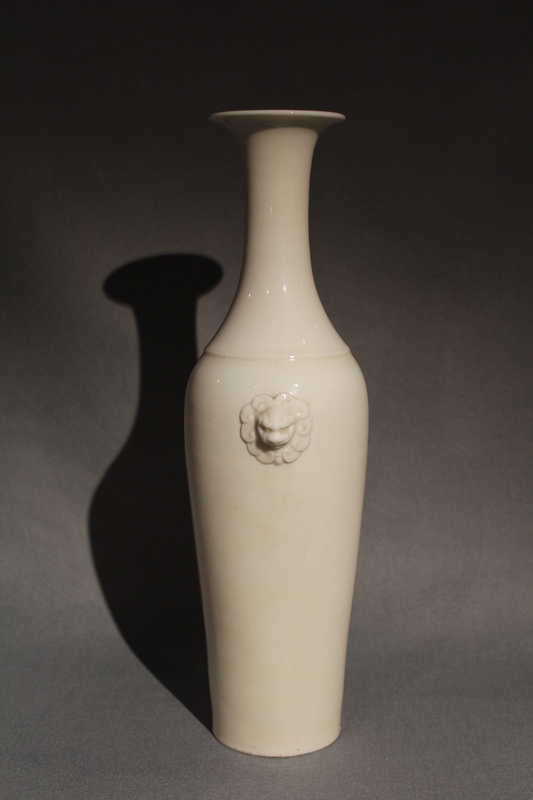 A xuande mark on the bottom.